#1) Isaiah Todd is only a rising sophomore but he's a special talent who has all the makings of an NBA superstar. He might not be the best player in high school at this moment but he's the best long-term prospect. 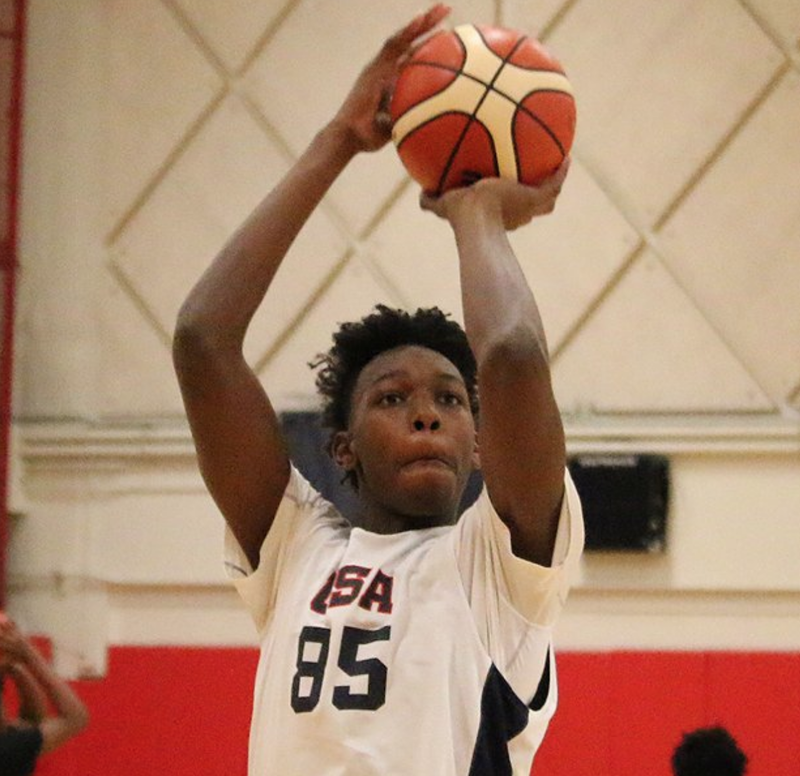 At only 15 years of age, the 6-10 power forward has elite size and skills and projects as a franchise altering talent. It'll be awesome to see him develop over 3 more years of high school ball. The sky is the limit for how good he can be and he reminds of a hybrid of Chris Bosh and Tim Duncan. Now he gets to carry the heavy weight that comes with being a transcendent basketball talent and the new king of high school hoops. 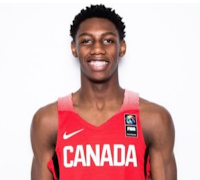 #2) R.J. Barrett is a much more polished player and is closer to realizing his potential than the younger players on this list. He's the front-runner for the #1 overall pick in 2019 and projects as an elite big wing at the NBA level. His game reminds of Grant Hill but he has even more physical ability and size than Hill had. Barrett could be listed at #1 on this list but for now he's a close second behind Todd. Barrett will play his final season at Montverde Acadamy and his college recruitment is still open, with all the big schools in the mix. 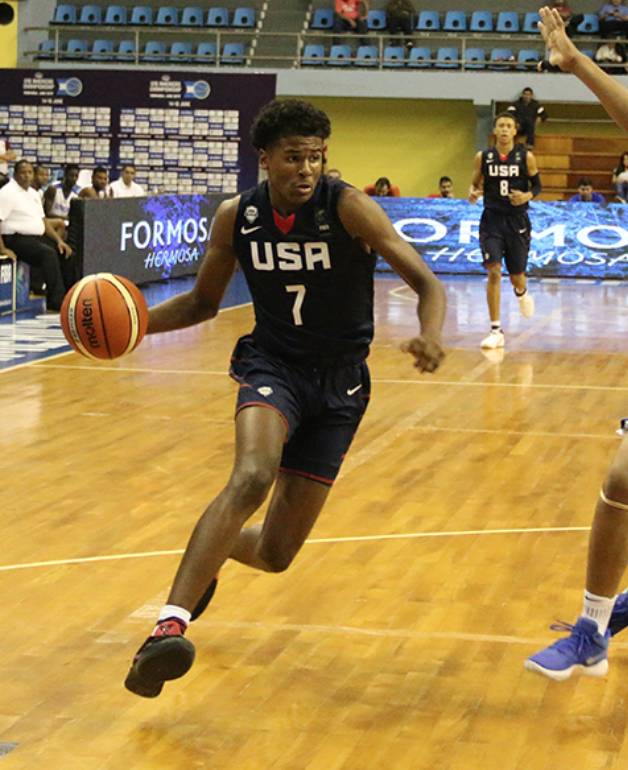 #3) Bol Bol has gone from having intriguing upside potential to being a legit superstar player. 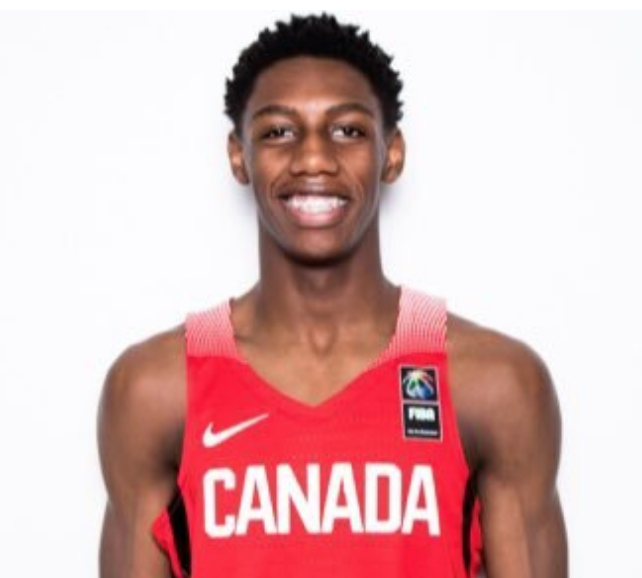 He's a force on both ends of the court, able to alter the game on the defensive end with his awesome length and good defensive instincts, and he's a silky smooth offensive player with an accurate jump shot and range out to 3. His shot is nearly impossible to block thanks to his height and 7-8 wingspan. He can play with his back to the basket or in the face up game. What an amazing world we live in! 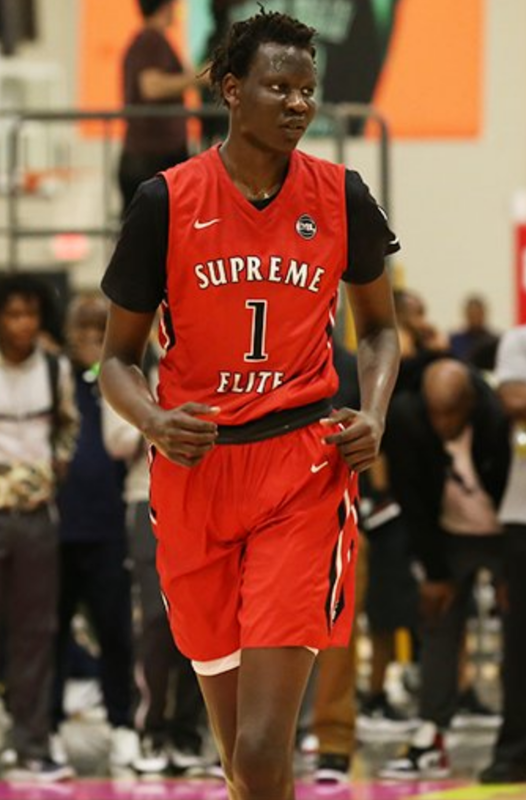 Getting to watch the son of the late Manute Bol rise up the rankings and become a star player. The basketball gods are very kind. 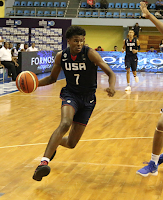 #4) Jalen Green is another young but super talented prospect who is just oozing with upside. He's a bouncy, long and explosive 2 guard who plays an effortless game. As with Isaiah Todd, there's a lot of pressure and expectations for such a young star but he seems more than capable of carrying the load. Green has elite attributes including supreme athleticism, laser-like focus and a great feel for the game for a young player. He can score from three levels and is a smooth, natural shooter who can light it up from deep. What sets Green apart is his incredible athleticism. His elevation and body control are second to none and he's truly a dynamic open court athlete. He's also a natural ball handler who plays with good rhythm and feel for the game. #5) James Wiseman has emerged as a big time center prospect and is a potential top pick in the 2020 draft. 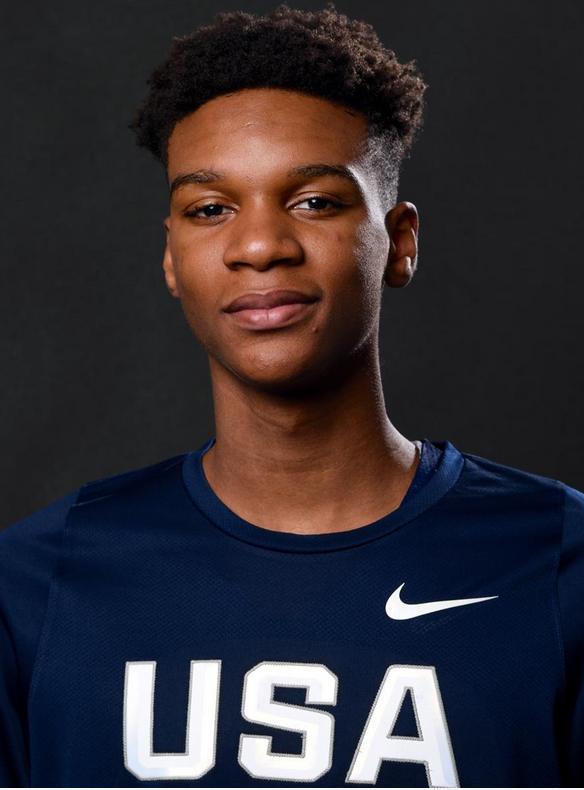 Wiseman was always a talent but now that he's standing nearly 7 feet tall, with a 7-4 wingspan, without loosing his bounce and agility, he's emerging as an elite level prospect. There's a long way to go in his development but he shows flashes of upside that remind of Anthony Davis. Centers can take a while to develop but Wiseman is on a trajectory that points towards the top of the lottery in a few years. It's tough to pick just 5 with so much incredible talent at the high school level. We can gladly say that there's tons of talent coming down the road and the college and NBA games will be in good hands for many years to come.